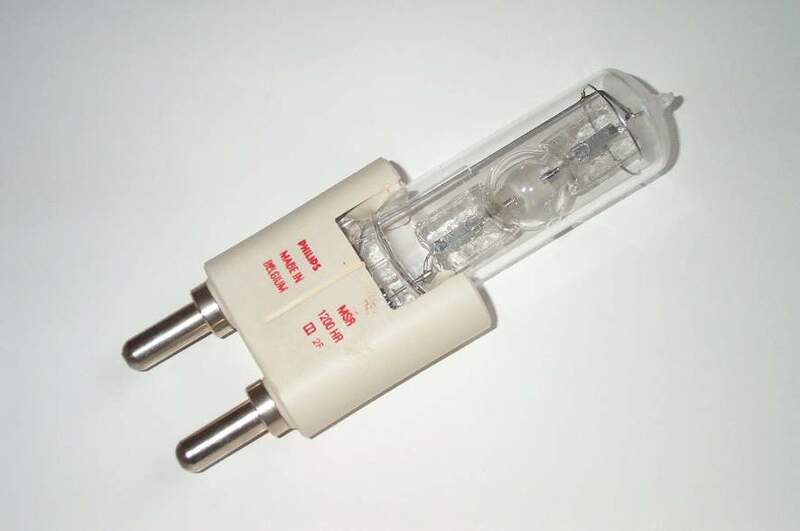 The Philips MSR lamp is essentially a single ended version of the earlier double ended MSI design (equivalent to the Osram HMI and MEI series). They have applications in lighting for indoor / outdoor filming, stage, theatre and television use. One principal advantage stemming from the use of an outer jacket is the improved thermal uniformity of the arc tube. This enables higher cold spot temperatures to be attained without risk of overheating in other areas. 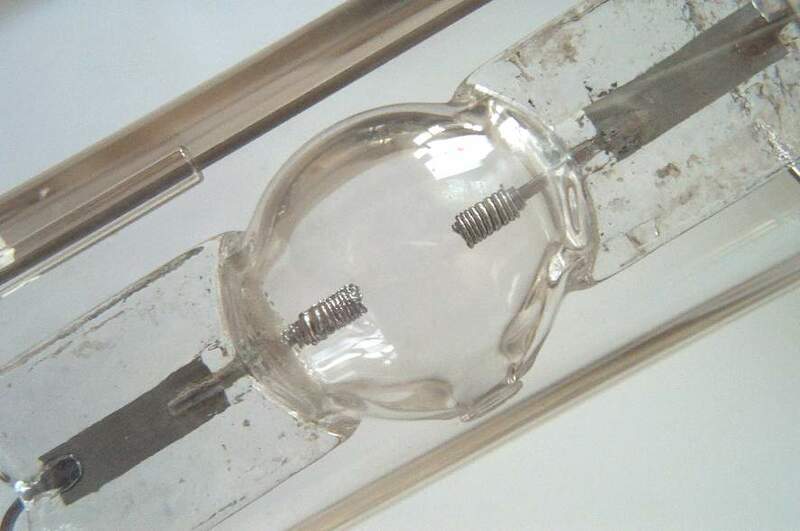 The top of the outer bulb is etched to reduce glare and improve directional uniformity, by diffusing the significant amount of light that can travel down the length of the arc tube seals. The arc tube filling consists of dysprosium iodide, whose many spectral lines deliver the excellent colour rendering. A small addition of caesium iodide serves to fatten the arc which is very constricted with dysprosium alone, and to provides some minor colour correction. Additions of mercury bromide change the iodide:bromide ratio to keep corrosion of the wall and tungsten transport from the electrodes under control, and yttrium-doped Mo-foils are employed for improved corrosion resistance. Chromaticity is centred slightly below the blackbody locus to match the spectral sensitivity of daylight film stock, and the CCT of 5600K suffers only a minimal decrease of ~0.5 Kelvin per hour. 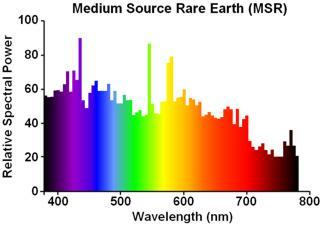 MSR lamps are also capable of being dimmed with only very slight colour variations. Power to this 1200W lamp can be safely reduced to 480W at which point colour temperature is only beginning to approach 6000K, and it is still within 15 SDCM of the original colour. Luminous flux is reduced to 25% at this power level. 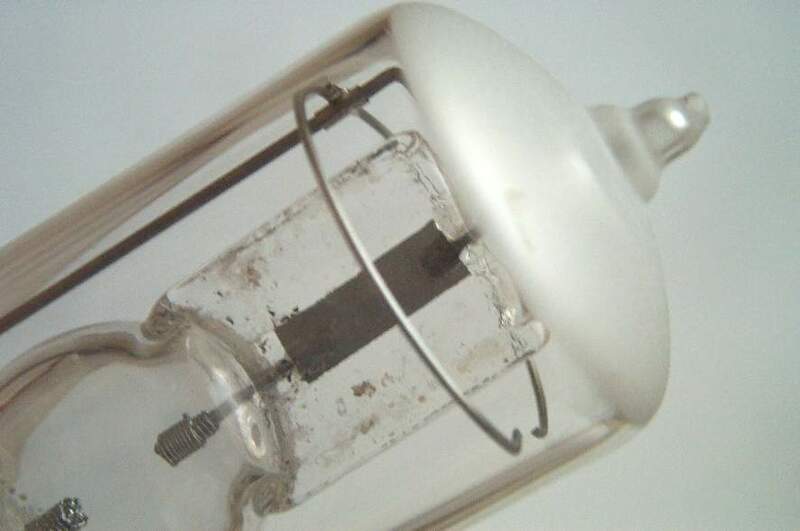 Extra insulation in the base permits hot-restriking of this lamp type. 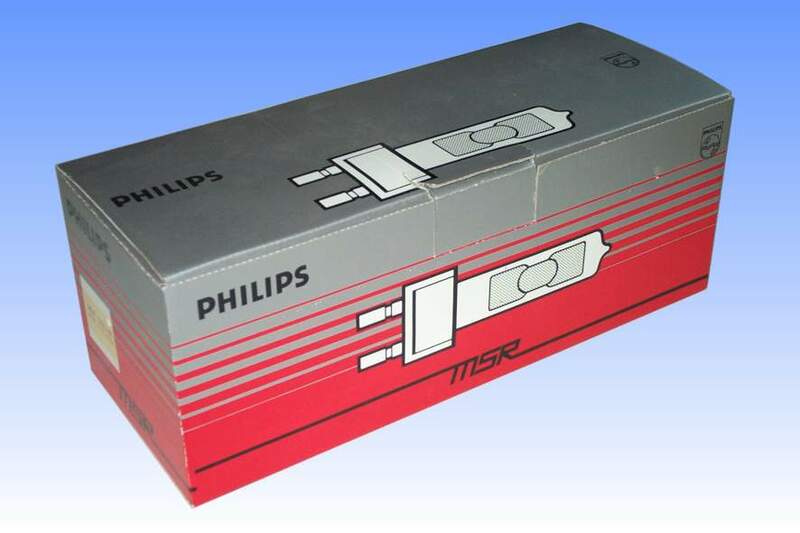 References: 1) Philips MSR Brochure June 1990.